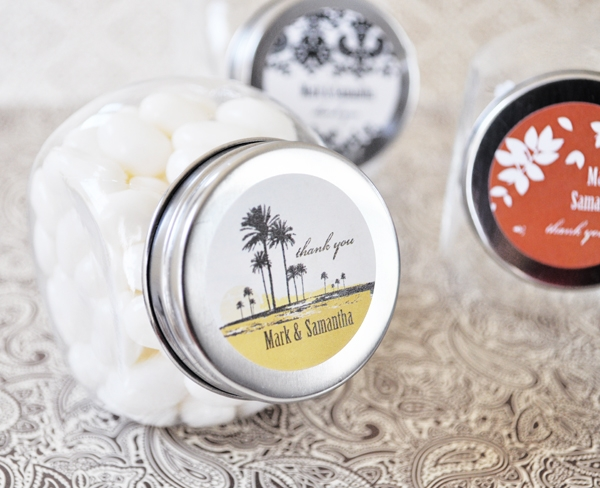 These personalized glass wedding candy jars look like the vintage glass jars grandma used to use! They serve as a cute container for your treats, they're personalized and guests can use them for so many different things long after your event has passed - storing candy, nuts, chocolate, spices, loose tea, etc. The re-usable glass container comes with a screw on metal lid. 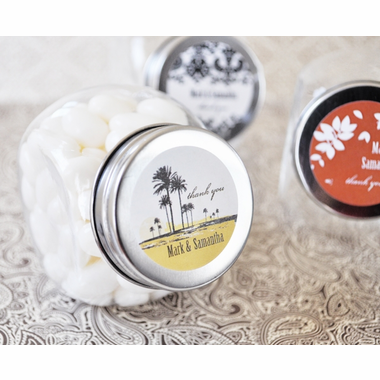 Jars come personalized with your name and message. You can choose from any of our stylish designs below. CONTENTS NOT INCLUDED; you are free to fill them as you wish.